September is National Food Safety Education Month and consumers need to know that myths about keeping food safe in the refrigerator aren’t true. Myth 1: I know my refrigerator is cold enough – I can feel it when I open it! Anyway, I have a dial to adjust the temperature. Fact: Unless you have thermometers built into your fingers, you need to use a thermometer to ensure your refrigerator is at or below 40 °F. And that dial? Important, but it is not a thermometer. As many as 43% of home refrigerators have been found to be at temperatures above 40 °F, putting them in the food safety “danger zone” where harmful bacteria can multiply and make you and your family sick! Slow the growth of bacteria by using a refrigerator thermometer to tell if your refrigerator is at 40 °F or below. And if it isn’t? Use that dial to adjust the temperature so it will be colder. Then, use your refrigerator thermometer to measure again. Myth 2: Cross-contamination doesn’t happen in the refrigerator – it’s too cold in there for germs to survive! Fact: Bacteria can survive and some even grow in cool, moist environments like the refrigerator. In fact, Listeria bacteria can grow at temperatures below 40 °F! A recent study showed the refrigerator produce compartment was one of the “germiest” places in the kitchen, containing Salmonella and Listeria. Clean your refrigerator regularly with hot water and liquid soap. 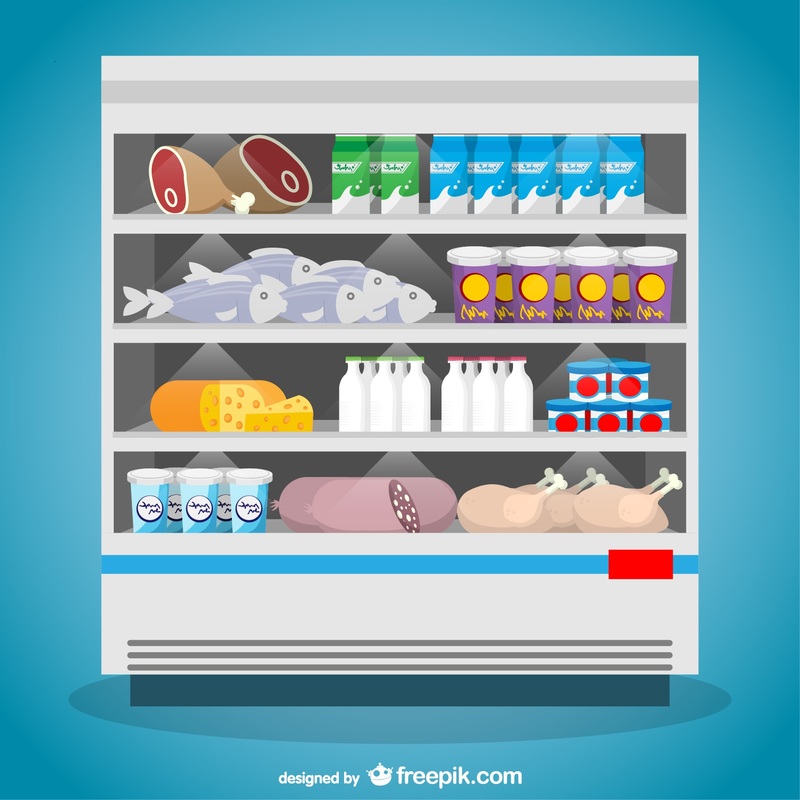 Don’t forget to clean the refrigerator walls and undersides of shelves! Myth 3: I left some food out all day, but if I put it in the refrigerator now, the bacteria will die. Fact: Refrigerator temperatures can slow the growth of bacteria, but will not stop the growth of bacteria in food. If food is left out at room temperature for more than two hours, putting it into the refrigerator will only slow bacterial growth, not kill it. Protect your family by following the 2-hour rule—refrigerate or freeze meat, poultry, seafood, eggs, cut fresh fruits and vegetables, and all cooked leftovers within 2 hours of cooking or purchasing. Refrigerate within 1 hour if the temperature is above 90 ºF. 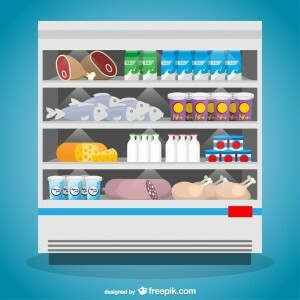 While refrigeration does slow bacterial growth, most perishables will only keep for a few days in the refrigerator. To keep perishables longer than a few days—like most meat, poultry and seafood—you can freeze them. Myth 4: I don’t need to clean my refrigerator produce bin because I only put fruit and vegetables in there. FACT: Naturally occurring bacteria in fresh fruits and vegetables can cause cross-contamination in your refrigerator. A recent NSF International study found that the refrigerator produce compartment was the #1 “germiest” area in consumers’ kitchens! To prevent the buildup of bacteria that can cause food poisoning, it is essential to clean your produce bin and other bins in your refrigerator often with hot water and liquid soap, rinse thoroughly, and dry with a clean cloth towel or allow to air dry outside of the refrigerator.